Are your credit union and bank market smart? Data can be powerful, but can it tell you everything that you need to know to serve your market? Where to build the next branch? How to expand your market share? The answer is both yes and no. Yes, the data can tell you about your customers’ demographics, purchasing behavior, and product preferences. But the data itself is just part of the information you need to create a comprehensive branching plan. A great branch network strategy also requires that you translate this data into a relevant and valuable customer experience. A combination of insightful data analytics, smart design, and strong customer relationships is the key to success in a highly competitive retail banking market. If your analytics tell you that millennials are a large part of your market, for example, your branch should be oriented to better serve that segment. Some studies have reported that 38% of millennials do not ever use branches,1 but those who do are often more interested in discussing complex issues.2 Data can help recommend the most convenient location for this market population, but more importantly, it can also guide your branch design and help prepare your staff for more relevant conversations with millennials. Finding the right location is just the first step. To deliver a unique experience, your branch has to represent your culture and capture the attitude of the local community. If your customers are more comfortable having meetings in a coffee shop or co-working hub, your branch can emulate these communal environments and support more personal interactions. Lastly, let your branch staff shine. You now know who is coming into your branch, what banking channels they prefer, and what products and services they will consume. You can train your staff to tailor customer conversations and product offerings around this insight. 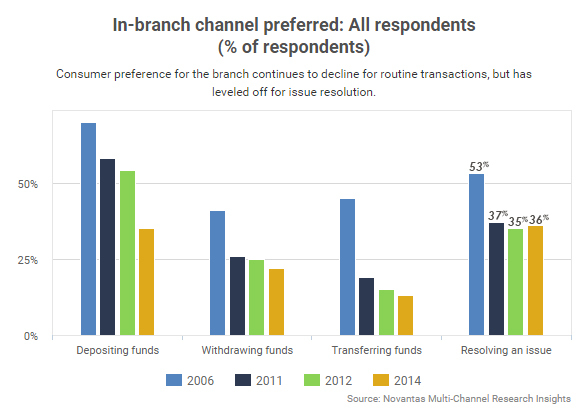 Consumer banking continues to move toward online channels. 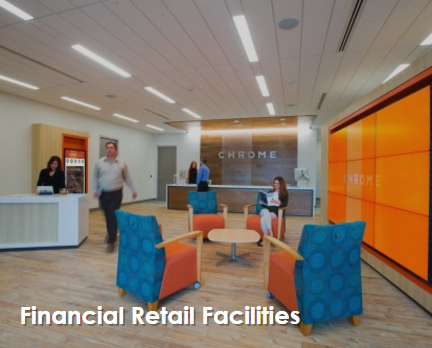 Financial institutions still rely on physical locations, but their function has evolved significantly. A recent survey shows that on average, 83% of online and mobile banking users have visited a branch within the last six months.3 These customers may fulfill their banking needs online, but they still seek personal interaction for more complex issues. The most successful branch network strategies will use market analytics to deliver these interactions at the intersection between digital and physical retail banking. We would love to compare notes with you and hear how you plan to transform your branch network. Drop us a note and let us know how we can help!